Bring the charm and beauty of the Orient straight to your home with the eye-catching Oriental Charm. Inspired by the exotic flowers of the east, we've gathered fresh pink Oriental Lilies, gorgeous Roses and Carnations and a sprinkling of Gyp to create a simply sublime floral display. It's a wonderful gift to show someone you really care, to say congratulations, or as a heart-warming gift for that special someone. Whether you send it to friends or for yourself, the Oriental Charm Bouquet will fill the home with a feeling of timeless elegance and style. 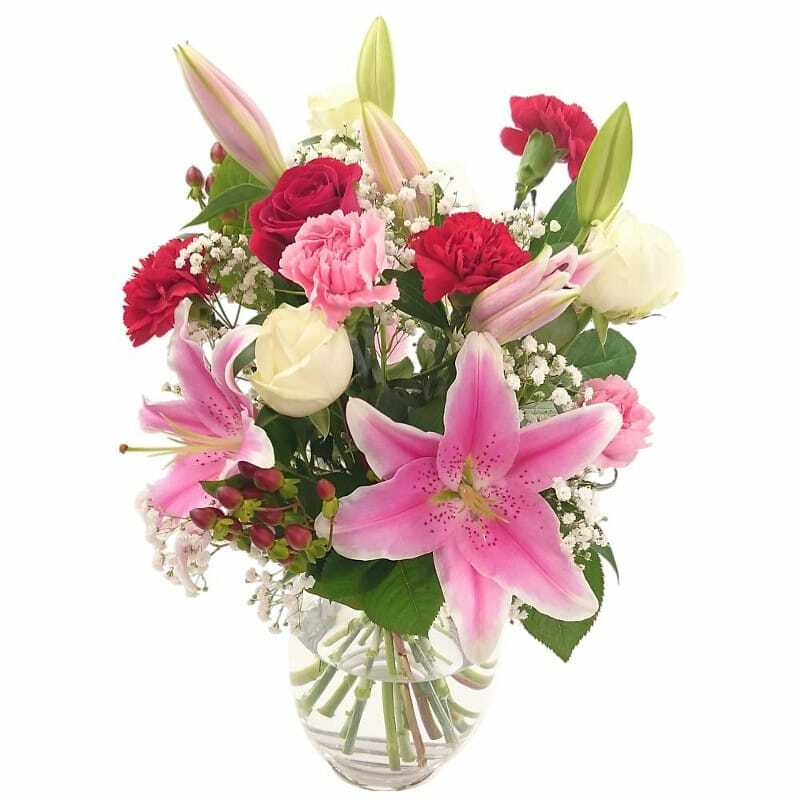 Your fresh Oriental Charm bouquet can be delivered 7 days a week throughout the UK in our special delivery box to prevent damage while in transit, so they arrive in excellent condition all for just £24.99! For that extra special personal touch, why not add a Handwritten Greetings Card, a chic glass vase or an adorable teddy to accompany your beautiful fresh hand-tied Oriental Charm.